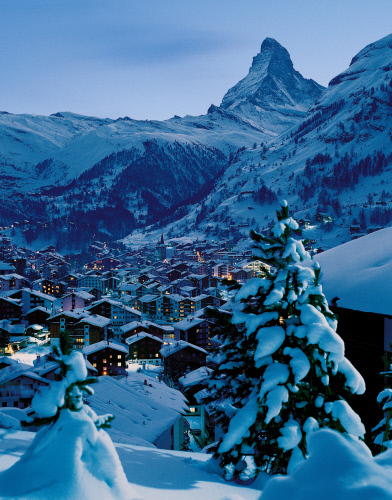 One of our favourite ski regions in the Alps is undoubtedly the Swiss canton of Valais. The canton of Valais is picture-postcard Switzerland at its very best. 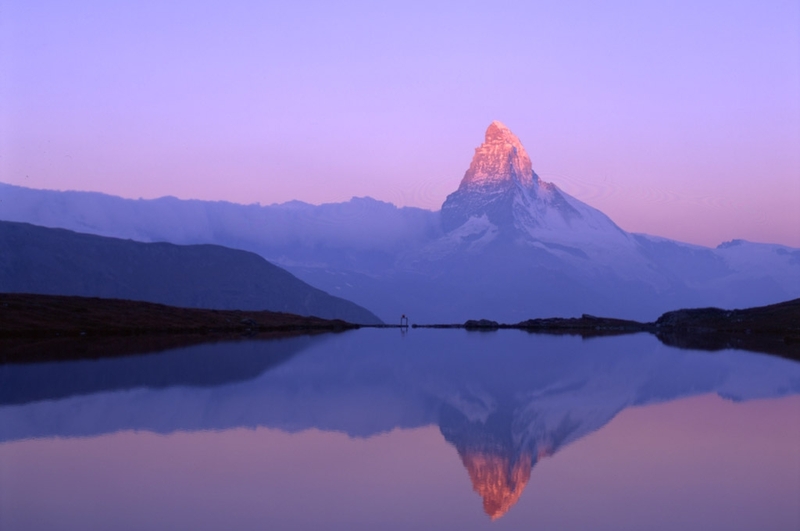 It is situated in south-west Switzerland at the highest part of the Alpine chain, and contains the highest concentration of Alpine peaks above 4,000m (13,120ft), with the iconic Matterhorn at its heart. Valais contains some of the finest ski resorts in the Alps. There are over 120 winter resorts to choose from ranging from tiny unspoilt village resorts to the glitz and glamour of fashionable world-class centres, Crans-Montana, Verbier and Zermatt. 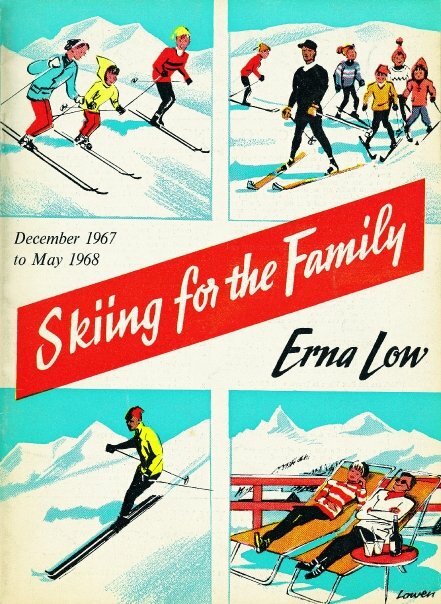 Many are high and snow-sure, and ideal for family holidays even late into the season. What’s more, Valais also claims to be one of the sunniest regions in Switzerland, boasting an average 300 days of sun per year. 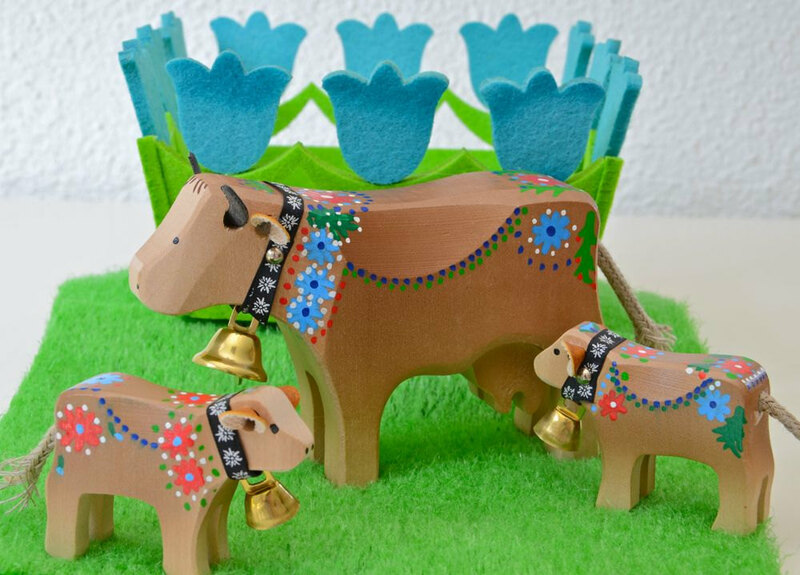 For families, it’s hard to beat St Luc and Grimentz – picturesque, traditional villages in the Val d’Anniviers, and the small resort of Anzères to the north of the Rhône plain. Non-skiers will enjoy Bettmeralp and Riederalp for their many off-piste diversions, including toboganning, ice-skating, dog-sledding and snow-shoe hiking. If your family comprises more intermediate skiers, you would enjoy Les Portes du Soleil (‘Gateway to the Sun’) – a massive ski area with plenty of terrain to suit all levels. The vast Portes du Soleil ski region straddles the border between Switzerland and France. It was devised during the sixties, by a group of friends in 14 villages, with the plan that everyone should be able to go from one valley to another on skis, irrespective of international borders. Its original name was the ‘Haute Route des Familles’ (‘Family High Route’). Today it maintains the concept of border-free enjoyment of the mountains and the original 14 villages have since become popular resorts. On the Swiss side, the resorts are Champèry, Torgon, Morgins, Vall d’Illiez, Champoussin and Les Crosets. Each has managed to preserve its traditional architecture and friendly village atmosphere. With over 400 miles (650km) of pistes and 288 runs, Portes du Soleil is the largest international ski region in the world. As long as you carry your passport, you can ski wherever you wish. Verbier – the Swiss ski party capital, and self-proclaimed raclette capital of the world, is not the most immediate choice for young families. Nonetheless, this thriving modern ski town (www.verbier.ch) is an undeniably world-class destination – one of the largest and most outstanding ski areas in the world, situated on a broad, sun-drenched plateau right at the heart of Valais. It is also surprisingly child-friendly, with a huge choice of high quality ski schools, centrally-located nursery slopes and excellent reductions on family lift pass prices. Very young children can be left at the Schtroumpfs nursery in resort too. Once you’ve skied Verbier, you will begin a love affair which seems to draw everyone – from extreme skiers/boarders to families of mixed abilities – back time and time again for the sensational, extensive terrain (around 400km/250 miles of pistes) and lively après-ski scene. When researching your holiday, don’t rule out Verbier on price alone (it’s not cheap! 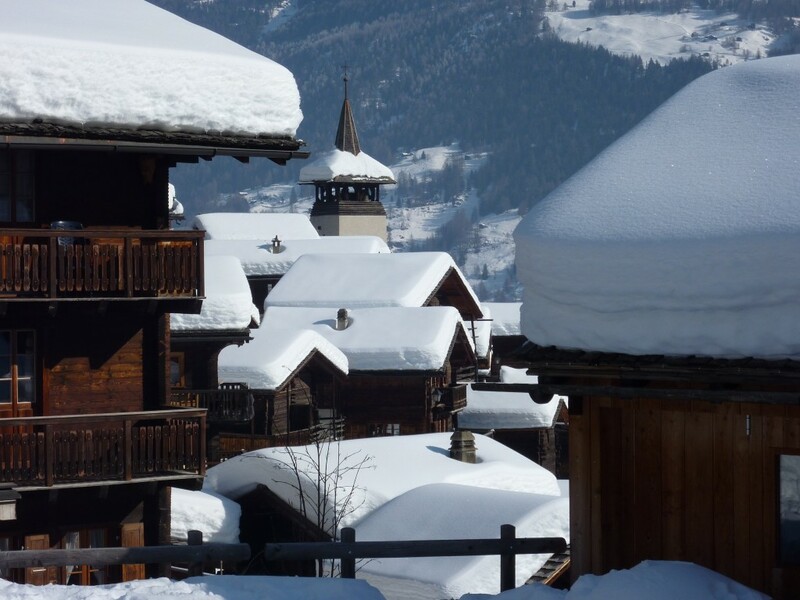 )… you could always stay at the neighbouring resorts of Nendaz, Veysonnaz or Thyon – all part of the Verbier ski area, but with less nightlife and more affordable accommodation! Together with Verbier they make up Les Quatre Vallées (The Four Valleys, www.4vallees.ch) – a huge and varied winter skiing playground with runs to suit all levels. Nendaz is especially family-friendly while Thyon draws a large number of snowboarders and freeriders. Another iconic resort – the chocolate-box resort of Zermatt (www.zermatt.ch) is not necessarily the obvious choice for a family ski holiday. However, it is a surprisingly child-friendly resort for those with very young (pre-skiing) infants. A large number of hotels offer family suites, and the tourist office has a list of reliable babysitting providers. In the car-free village, kids always enjoy the local transport (horse-drawn carriage or electric taxi) and there are plenty of non-skiing activities to appeal to all, including snow trails, snow-shoeing, and even a visit to ain igloo above Riffelberg. 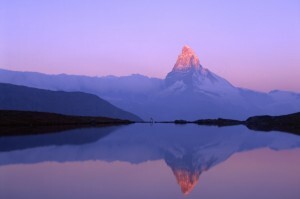 The resort is dominated by the country’s most powerful image, the mighty Matterhorn. Consistently ranked as one of the world’s top five ski resorts, it boasts skiing 365 days a year, thanks to the Theodule glacier ski area. 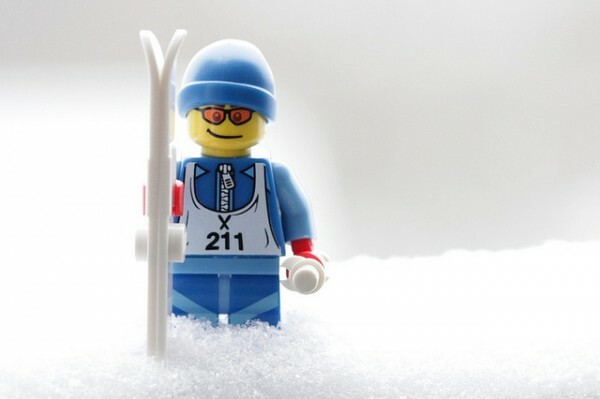 Skiing for beginners is limited, but the slopes are excellent for competent intermediates upwards. The best skiing is on the Gornergrat, reached after a spectacular cog-wheel train ride onEurope’s highest open-air railway. The ski area links up with Cervinia inItaly. The charming mountain huts of Zermatt are legendary and one of the week’s treats is always skiing over intoItalyfor a fabulous pasta lunch. 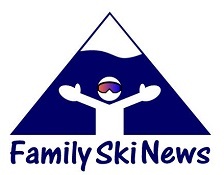 Another FSN favourite for family skiing is undoubtedly Saas Fee (www.saas-fee.ch). This pretty pedestrian ski village is known as the ‘Pearl of the Alps’ as it is located on a high plateau encircled by 13 peaks over 4,00m, including one of Switzerland’s highest – the Dom (4,545m). It also boasts the world’s largest ice pavilion and the highest revolving restaurant at the 3,500m Allalin peak.